Anna Kendrick has a unique, understated quality that you do not see very often in Hollywood. Her talents are vast which allows her to play many different roles. Everyone knows that she is funny. Her twitter is one of the funniest you can follow. She can also sing, probably better than most other actresses out there. However, she retains a sort of vulnerable quality that has earned her the most critical praise throughout her career. Kendrick isn’t afraid to jump into the small role either. Sometimes she shows up for a fleeting moment in films like The Voices and Scott Pilgrim Vs. the World. Other times, she stars in a comedy that falls completely below anyone’s radar. Movies like that include Rapture-palooza, Mr. Right, and Get a Job. 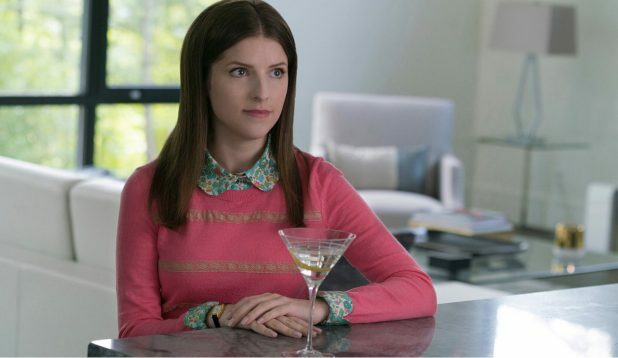 Here are the five best roles of Anna Kendrick’s career thus far. So far, Becca in the Pitch Perfect franchise is probably Anna Kendrick’s most recognizable role. Even though Kendrick is a hilarious actress, she more or less plays the straight man in these films. With obnoxious characters like Anna Camp’s Aubrey and Rebel Wilson’s Fat Amy, it falls to Kendrick to keep it close to the vest and riff off their characters. It totally works. Kendrick really is a delight throughout the trilogy, even though the franchise does have its severe problems. Whenever Becca’s talents and aspirations are in the spotlight, the films are always at their best. 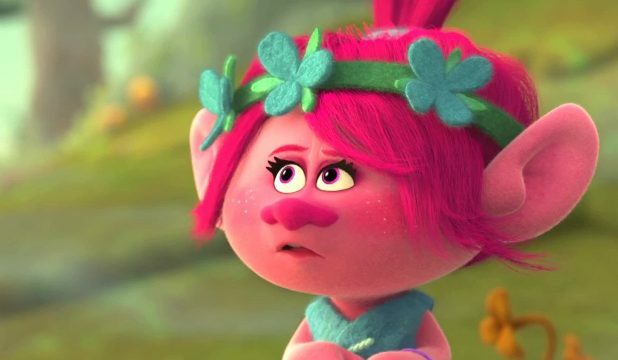 Anna Kendrick was a perfect choice to voice Poppy in the underated Dreamworks Animation film, Trolls. Poppy is the most absurdly happy Troll ever born (how perfect is that?). She spends her happy-go-lucky days frolicking through Troll Village singing, without a care in the world. That is until her friends get kidnapped by the Bergens and she teams up with Justin Timberlake’s dreary Branch to rescue them. Few actresses have the extreme bubby-ness and jovial persona like Anna Kendrick does. Her Poppy is the perfect jolly pinnacle in an outrageously upbeat film. Did you know that Anna Kendrick has been nominated for an Oscar? The film she was nominated for Best Supporting Actress was Jason Reitman’s Up in the Air. It follows George Clooney’s Ryan Bingham, a man who travels the country to fire people for a living. He is a veteran and takes his ugly job in stride. That’s when he meets a young protege named Natalie Keener. She is wet behind the ears but is eager to do the best she can. To watch her quickly become overwhelmed by the anger and sorrow directed at her through those she has fired is intense. That vulnerability mentioned earlier really creeps through and the audience latches on to her as the most sympathetic. It is not easy to steal a movie out from George Clooney and Vera Farmiga, but Kendrick comes very close. 50/50 stars Joseph Gordon-Levitt and Seth Rogen. It is the true story about how Seth Rogen and screenwriter Will Reiser dealt with the news that Reiser had a dangerous form of cancer. It is an amazing film with powerful performances and life-affirming philosophies. Anna Kendrick plays a young therapist in the cancer center where JGL’s Adam is receiving his treatment. Adam is only her third patient and she struggles to deal with such a tragic situation. Each and every scene that Adam and Kendrick’s Katherine share is amazingly well done, possibly the best of the film. Katherine doesn’t know what to say or do to help Adam, but her desperate need to help him is heartbreaking. 2018’s A Simple Favor was a surprising success. The Paul Feig film stars Anna Kendrick plays the impossibly perky, parental overachieving Stephanie Smothers. Her life is her kids and her vlog, and therefore she has never had time for any friends. That is until a fellow parent, Emily (Blake Lively) invites her to share an after school martini, and they become fast friends. Stephanie may be the most diverse, rich character Anna Kendrick has portrayed. A Simple Favor provides her with extreme ups and downs, and her chemistry with Lively makes for one of the best onscreen “couples” of the year. As you watch Stephanie and Emily, and then just Stephanie deal with Emily’s disappearance, it is exhausting in the best way.